I decided to leave my country Venezuela, Help me to get out of here. Living in Venezuela is certainly an inexplicable experience, this crisis has left great teachings for those wise who know how to appreciate the positive of the worst circumstances, many have learned to be more supportive, more creative to survive, more entrepreneurial to have the task of arising And grow, valuing our loved ones much more, those people who come to our lives with good intentions, what we obtain through great efforts and sacrifices, and even to take care much more of ourselves and our health, to To have greater vision before the life, to consolidate those values ​​with which we have grown and that make us to be the person that we are today, but above all to always have the intention, the desire and the need to cultivate great riches of knowledge, learning , Culture and the great spiritual evolution. I feel very ashamed to be asking for help by these means, but I find myself in a really desperate situation. First of all it is important that all of you watch this video to understand why I write about this. Many will think that we Venezuelans are experiencing a crisis more similar to that experienced in any other country in Latin America, the fact is that it is worse than you think. Historically, Venezuela had never experienced such a devastating crisis as it is today. This video was recorded in August of 2016. For today, our national currency has been devalued to more than 1000% and the monthly salary is located in 7.4$. If you see my previous posts you will realize that I have been very ashamed of asking you for help to escape Venezuela since dictatorship and the socioeconomic crisis have reached a high level and the consequences have been harmful. Imagine spending at least one day without eating, or imagine getting sick and not getting the medicines, worse, imagine not being able to think different from the dictator regime because the police come to your house to imprison you. It's a very difficult situation, so once again I ask my friends on Yours.org to help me. I decided to leave my country. Refers to the great need that we Venezuelans today for leaving our country. I think we motivate them, as you all know, and as I have written in previous posts, we find ourselves experiencing a tragedy and a devastating crisis, in addition to an inhuman totalitarianism, a fatal repression and a historical famine never before experienced in Venezuela, Besides the great insecurity, violence and fear that is lived in the streets of Venezuela. I want to leave Venezuela, I have a future to look for and dreams to fulfill. I already decided. How complicated is leaving Venezuela right now? Well the variants are many, but we can not depend or stop for things external to us, is not at all impossible, maybe a bit complicated, starting with the cost of our departure, it is atrocious, incredible, extreme, exaggerated, high Cost of a ticket is worrisome, but mainly because our currency is totally devalued and there is an informal dollarization of which we have become dependent, our currency is crushed daily with inflation that has generated inefficiency, corruption and bad public policies of the government. To see, I will explain my situation as it is, how it is projected and the planning that I can study and work at the moment to leave Venezuela. Many people in my previous post "I've decided to leave my country" asked how tangible this decision was, whether it was merely a wish or a flight plan that had an immediate date. Well, I take these lines to explain briefly. How much could it cost to leave Venezuela? 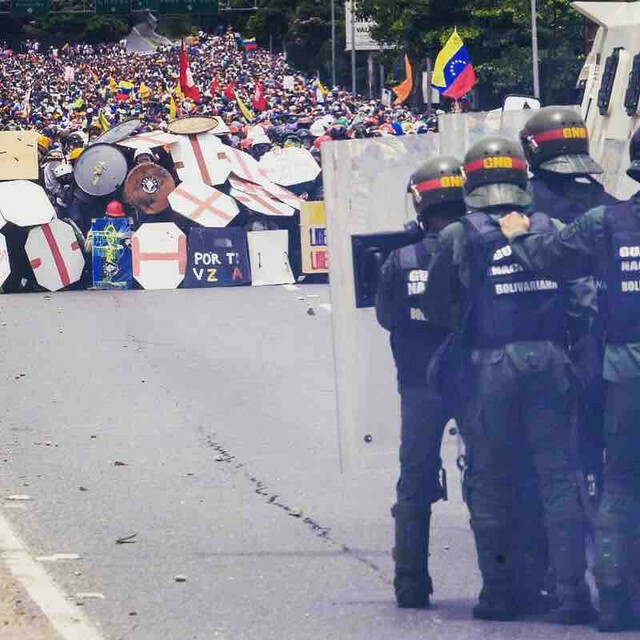 High and excessive cost of the tickets, it is necessary to take this into account, since it is an obstacle that prevents the exit of many Venezuelans nowadays. How much it costs us to obtain two thousand dollars to the only dollar that is to our access, that is the black dollar and that also daily can go up or down, is totally unstable. Now, we will calculate 500 $ rounding the dollar to 13,000bsf, assuming we can get it a little lower than its current value. 500$ x 13.000Bsf = 6.500,000. With a saving of one year we will get based on a minimum wage. Currently located at 97,000 bsf, which dollarized has a value of 7.4$ monthly. Making a rounding of 13,000bsf per dollar. Now as you think we could buy an air ticket with ease. Take out accounts, calculate my liquidation, that's assuming that I quit my job, plus my vacation that I have not fought this year and does not even give me to buy 150 $ The situation is desperate and suffocating. My departure plan for more passing days may be complicating a bit more. I want to say with this that I must take immediate action, in addition to daily increases in costs, it is feared that the dictator government that governs my country take measures of prohibitions and restriction upon leaving the country. To conclude my post, I count that my departure may soon be to Peru, which many Venezuelan friends tell us that today they are living there. Besides being a beautiful paradise, with great diversity, an exquisite gastronomy, it has a very stable economy and Its residents are really very friendly and grateful. I have a friend there who from being in Ecuador a year having an experience maybe not so fortunate has decided to embark on his new destiny towards Peru, I hope to meet him and with a great friend with whom I have agreed to my arrival and who will receive me on arriving at country.